welcome to the Artist's mastermind! a community of women who are ready to take their artistic career to the next level & create a life they love. One part sisterhood, one part power-mentorship, this mastermind is for women who are highly creative and artistic, who understand why they are here and what they should be doing (at least mostly -- there is always space for growth and change), and are working hard to create a life that brings them joy + a meaningful impactful within their communities and on the world. create a sustainable workflow that offers space for inspiration, a reliable income, and keeps you far away from burn out. market effectively & in a way that feels good (can you imagine! ), turning followers into collectors and fans into patrons. In addition, this Mastermind is the perfect place to ask all those super-nerdy questions your friends and family don’t have the answers to: things like creating an engaged mailing lists, optimal Instagram strategy, editing software, cameras, the healthiest studio supplies... Yes! You're totally speaking my language! I began my creative career when my first baby was very young and when the internet was small. My first paintings were created on scrap pieces of wood and with paints left over from my art school days (we had absolutely NO extra money and were hovering near the poverty line). My goal was to make $400 a month. Yep. $400. Just enough to cover our grocery bill at the time. My path escalated steadily and I have grown my tiny fine art practice into a thriving business earning multiple 6 figures a year, working with big brands (such as Anthropologie, West Elm, Schoolhouse Electric, among others), selling collections of artwork to buyers around the globe, employing amazing people, working with stellar galleries, and educating thousands of creatives in workshops, coaching sessions, and classes. I have learned SO MANY things the hard way and through extensive trial and error -- and I’m excited to share every bit of it with you. so How does this mastermind work? At the heart of this mastermind are 2 monthly conversations held live online; both a larger group conversation as well as in rotating peer-group sessions of 3-4. The larger group conversation will be held on the first Tuesdays of each month, 11:30 am - 1:00 pm and will be recorded in case you are not able to join us one week. During these discussions we will dive into a relevant topic of discussion + learning, cheer each other in our "highs", help each other through the inevitable "lows", and keep each other accountable to achieve our biggest dreams. We will share resources, information, concepts, tools, ideas, and encouragement. In addition to the online conversations we will have daily access to each other in the form of a private Facebook Group as well as a glorious IN-PERSON retreat in October of 2020 in Greenville, SC. This mastermind will be a commitment of time, energy, and resources (though it is priced substantially under industry standard because I really want to remove that barrier from the table). Is this mastermind worth the investment? HECK YES. I know and have seen first hand the power of believing in yourself, investing in your dreams, and working towards big goals alongside women who support and champion you daily! we share knowledge, resources, and straight up brilliance. We are stronger and wiser because we are together. We champion the good in each other and encourage each other through the hard. The EJ Mastermind is application based and open to anyone over the age of 18 working in a creative/artistic field. There will be between 18-24 applicants accepted into the program and applicants will be notified at the end of August. The first Mastermind meeting will take place the first Tuesday in September! Open to Creatives who identify as both a dreamer AND a doer. 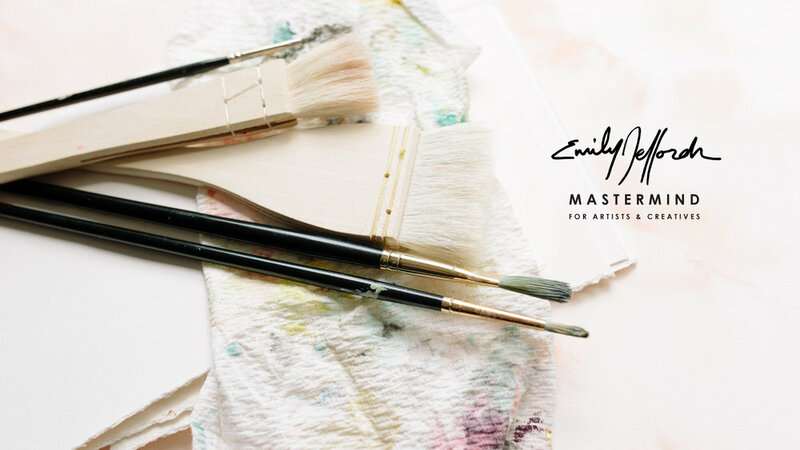 must be willing to share insights into your business and creative practice openly within the trust of the Mastermind circle as held my mutual respect (and an DNA). Within reason, of course. You will never be asked to share details that you are not comfortable with! must be committed to attending all/most of the monthly meetings (2-4 hours a month) and be an active member of the community.